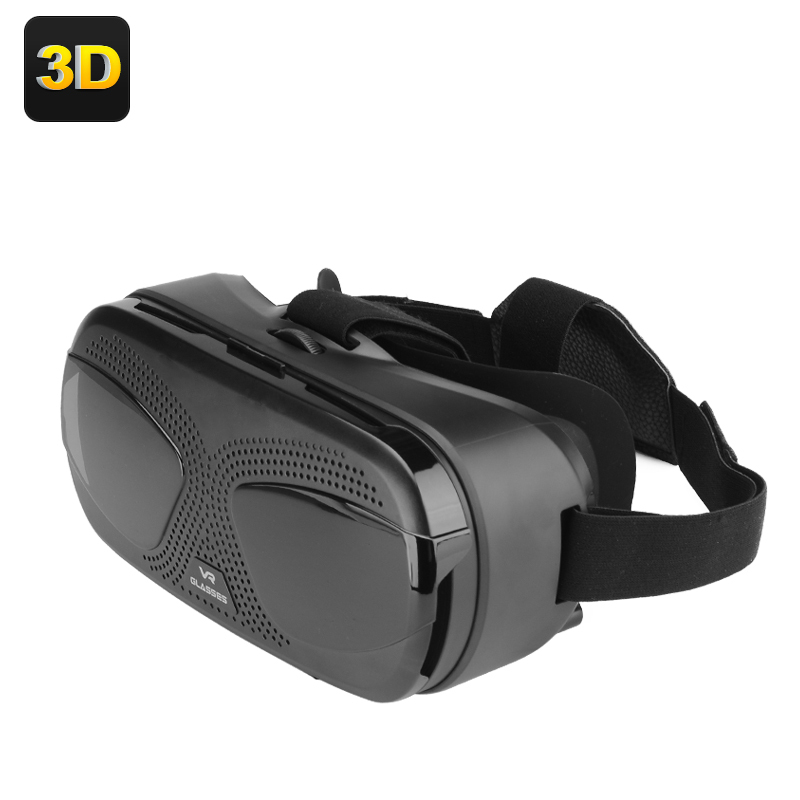 Successfully Added VR 3D Headset - 3 To 6 Inch Phones, 3D Side By Side Video, Adjustable Interpupillary Distance, Focal Depth, Head Strap to your Shopping Cart. 3D is the biggest craze of 2016 but the price of all in one 3D Goggles is far from attractive. With these portable lightweight glasses you can enjoy a taste of the latest's VR experiences at a fraction of the cost by simply using your Smartphone. As this VR headset runs video through your Smartphone its able to remain very light making it easy to wear without putting any strain on your head or neck. What's more its totally portable and won't need you to be connected to any wires or hook into a computer. Grab a Bluetooth controller and you will be able to enjoy 3D gaming as well as exploring new virtual worlds all from he comfort of your home. This lightweight, comfy headset has a fully adjustable head strap and can be worn for hours making it the ideal guide for your 3D experience. With adjust focal depth and interpupillary distance, (the gap between your pupils), means you can move the lenses to get the best viewing experience without putting strain or stress on your eyes. Its open edge design means with most cell phones you will even be able to plug in earphones as well for a fully immersive experience without outside interruptions. This makes it great for passing the time on long flights or journeys as you sit back and relax to you favorite 3D movie. The Virtual Reality 3D Headset comes with a 12 months warranty, brought to you by the leader in electronic devices as well as wholesale VR headsets..